Broadly speaking, the wave of economic transformation produced by reform and opening up in China over the past four decades has swept across the country from south to north. The development of certain regions, from Shenzhen in Guangdong Province to the Pudong New Area in Shanghai, has served as a powerful centrifugal force, exerting influence on surrounding areas and beyond, and grabbing headlines around the world via rapid economic progress in the process. Now, it seems to be time for northeast China's Liaoning Province to assume the spotlight. At the end of August, a three-day event for China's top 500 private enterprises was held in Shenyang, the province's capital. Representatives from Fortune Global 500 companies, as well as some of the most prestigious business figures in China, joined the discussion and debate. Organized by the All-China Federation of Industry and Commerce, the event has been held nine times. In China, conventions of such significance usually take place in the country's capital, Beijing, but Shenyang's selection as the host city sends a signal that Liaoning is increasingly preferred by entrepreneurs and investors alike, becoming a magnet for capital. An important province in the country's northeast, Liaoning enjoys rich natural resources and distinct geographical advantages. It was one of the cradles of China's modern industry, earning a reputation as "the country's industrial base" and "the eldest son of the People's Republic" in the early years following the founding of the People's Republic of China in 1949. However, after the inception of reform and opening up in 1978, the old industrial centers in the three northeastern provinces of Liaoning, Jilin and Heilongjiang began to lag behind the rest of the country. One of the reasons behind this shift was that state-owned enterprises held an excessively large share of the local economy, with the planned economy playing a predominant role. 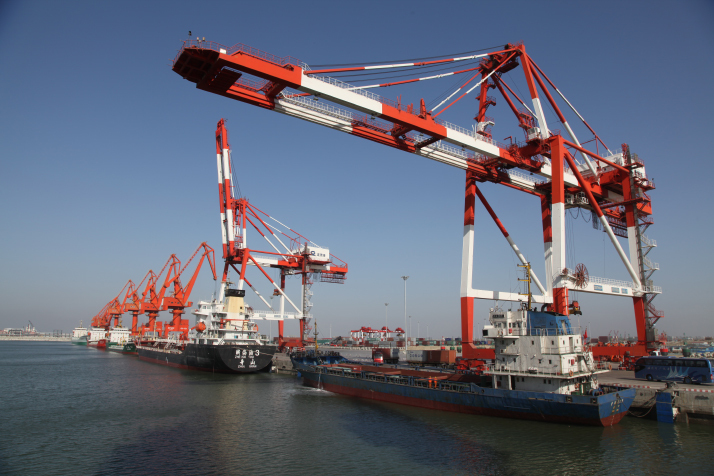 Rigid management systems greatly constrained economic development, and Liaoning was left unable to fully participate in domestic and international competition. Since the beginning of the 21st century, the government has introduced a strategy to revitalize the northeast. Yet despite these measures, the economy of the region has remained sluggish as remnants of the planned economy continue to obstruct economic transition. Liaoning, once a major industrial powerhouse, fell out of the top 10 provinces in terms of GDP, and the weak economy in northeast China contributed to unbalanced national economic development. In order to cure a chronic disease, treatment must be targeted and appropriate. That's why President Xi Jinping has paid particular attention to the development of the northeast. During an inspection tour of Jilin Province, another former industrial powerhouse, in July 2015, Xi said that the laggard region should work to improve its systems and mechanisms, accelerate economic restructuring, boost innovation and business start-ups, and enhance people's well-being. And while attending a discussion with deputies from Liaoning to the National People's Congress (NPC), China's top legislature, at an annual session of the NPC in Beijing in March 2017, Xi stressed the importance of supply-side structural reform, the leading role of state-owned companies, and improved conduct by officials. Liaoning set about tackling one of its most daunting challenges by improving its business climate through reform. It was the first province in China to set up a specialized agency for this task, vowing to create the most business-friendly environment. Liaoning also focused on streamlining government departments to enhance efficiency. 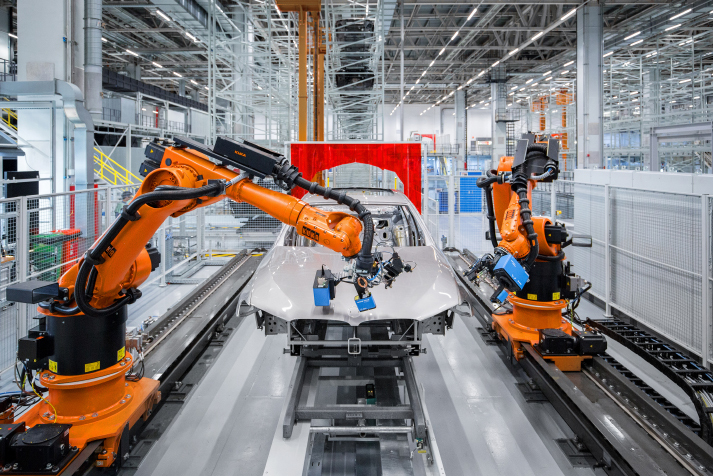 Thanks to these improvements, it took only 11 months to set up a new production line at one of BMW Brilliance Automotive's Shenyang plants, from June 2017 to May 2018. Jochen Goller, president and CEO of BMW Group Region China, described BMW's 15 years of cooperation with Liaoning as having created miracles. Major economic indicators in the first half of this year were impressive. The general public budget revenue, the value added by leading industrial enterprises, and private investment all registered double-digit growth. The growth of fixed-asset investment ranked fifth nationwide. Investment by foreign companies and businesses from Hong Kong, Macao and Taiwan rose 44.9 percent, while provincial GDP in Liaoning climbed 5.6 percent year over year. These are signs that the province's economy has achieved a remarkable turnaround. As China marks the 40th anniversary of its reform and opening up policy, Liaoning is enjoying unique advantages in furthering its development. The central government has set up nearly 100 national strategic platforms for the northeast. The China (Liaoning) Pilot Free Trade Zone, the Shenyang-Dalian National Independent Innovation Demonstration Zone and the Dalian Cross-Border E-Commerce Comprehensive Pilot Zone have helped Liaoning open more widely to the world. Partnerships with Shanghai, Jiangsu and Beijing also enable Liaoning to become more deeply involved in the Belt and Road Initiative, the Yangtze River Economic Belt and the Beijing-Tianjin-Hebei integrated development program. Liaoning has a clear vision for its future development as it aims to become a province that supports the national economy. It is also committed to turning itself into a base for advanced manufacturing, major technologies and equipment, raw materials, modern agriculture and research and development. Above all this, people are the most valuable asset, and the people of Liaoning Province are well known for their straightforward character. They are able to endure great hardship while retaining their expectations for reviving the local economy and remaining confident about future development. Today, Liaoning is becoming an ever more attractive destination for investment, having set three clear development goals: to lead the revitalization of the three traditional industrial provinces in China's northeast, to serve as a bridge for China to further its cooperation with Northeast Asia, and to act as a new pole for the growth of the world's second-largest economy. These are the objectives that Liaoning is now poised to reach for the sake of its development, and they are also the barometers that will define its success.